Fun Fact: Today, we went to the Toronto Zoo with Danielle and had the best time! We saw sooo many different types of cute animals and watched a polar bear do the backstroke..how adorable! Pin It Now! I love the added touch of the pouch. It adds character to the outfit. Great! This is so good! The outfit and the background are A+ Love love! Beautiful pictures! Love the feel of this outfit! I love shirts dresses so much! Great combination with the belt! LOVE this look and the shots! 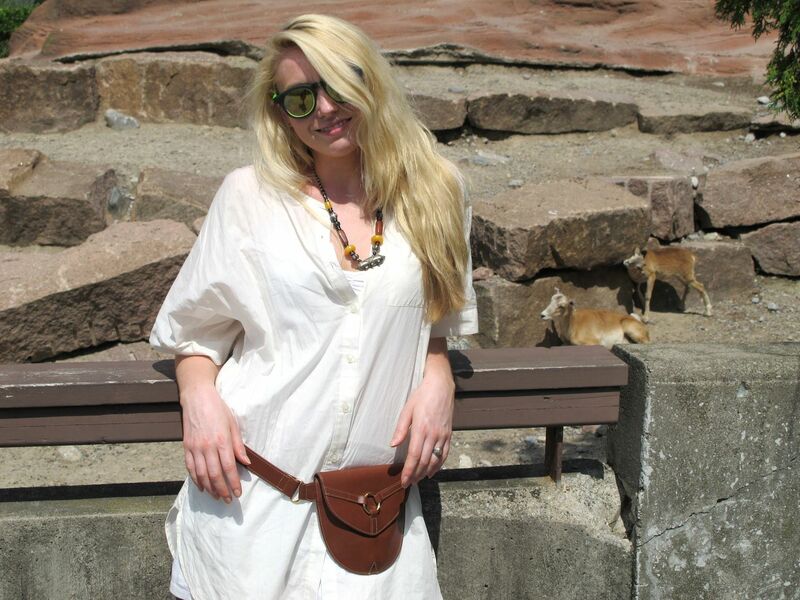 Thats a great belt/bag!!!! I love it, what a great find! thank you for passing by and leaving your sweet comment! hope you will come back soon! You look great! A white shirt is always amazing! i love this breezy summery look especially your sweet totes! you look so lovely and cool (i feel a breeze coming just looking at the photos). I love your shirt dress. So beautiful! This is such a simple but sweet outfit. Love the waist pouch! Did you girlies end up making it to the Chosen Ones vintage sale? Great photos and your style is wonderful, love your hair with the contrasts of the location! I like how relaxed and comfortable Danielle looks. Her dress looks so airy that for a second I thought she was really at the grand canyon b/c that's kind of how people in Arizona dress. This blog never ceases to amaze me! 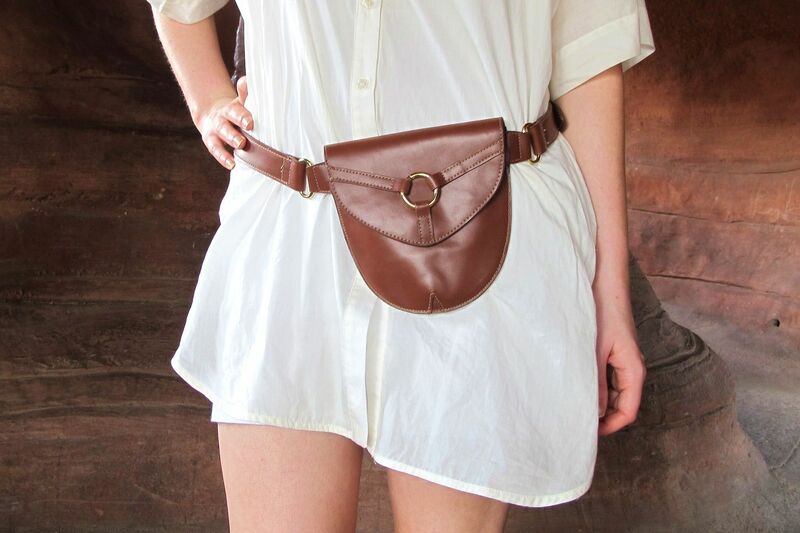 I LOVE this bag/belt! Such a cool mood! the second to last picture is great! You look amazing! I really love that shirt dress! What a simple but stylish piece! Thanks guys!!!! Your comments were so sweet!!!! I'm checking out all of your blogs!!!! So Fun!!! S T U N N I N G shots. and i love the outfit!! Wauw, I really love this look! The sandels are just wonderful!